Because spring is finally here — according to both your calendar and the exuberant birds caroling outside your window — I’m paying homage to the season by showcasing my favorite spring accessory: the scarf. Despite my personal heartfelt adoration for the floaty wardrobe embellishment, there’s a bounty of women who shy away from spring scarves. I’m here to tell you: Do not be afraid. The spring scarf comes in peace. And I contend it’s a versatile must-have that literally everyone looks good wearing. Everyone! Hear me out. Spring scarves can add a pop of color to a neutral outfit, soften up a stark ensemble and can be styled umpteen ways. They can make you feel, and look, like a boho goddess, a gypsy queen, a hippy heroine or even a 21st century Rosie the Riveter. You can wrap a scarf around your wrist, tie it around your purse handles, throw it over your shoulders, fashion it as a belt, tuck it into your jeans pocket and, of course, weave it through your pretty tresses. 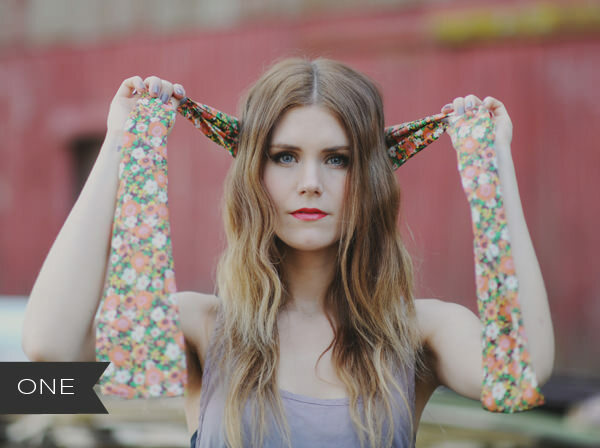 For ideas on the lattermost of that list, check out the 6 spring scarf hair tutorials below. The sweet turban trend is one of my favorites. It’s surprisingly feminine and the options are limitless in terms of what kinds of print you want to work with. I love a floral number, as pictured (so chic! ), but solid colors and even sparkly, embellished scarves are a perfect choice for this style. 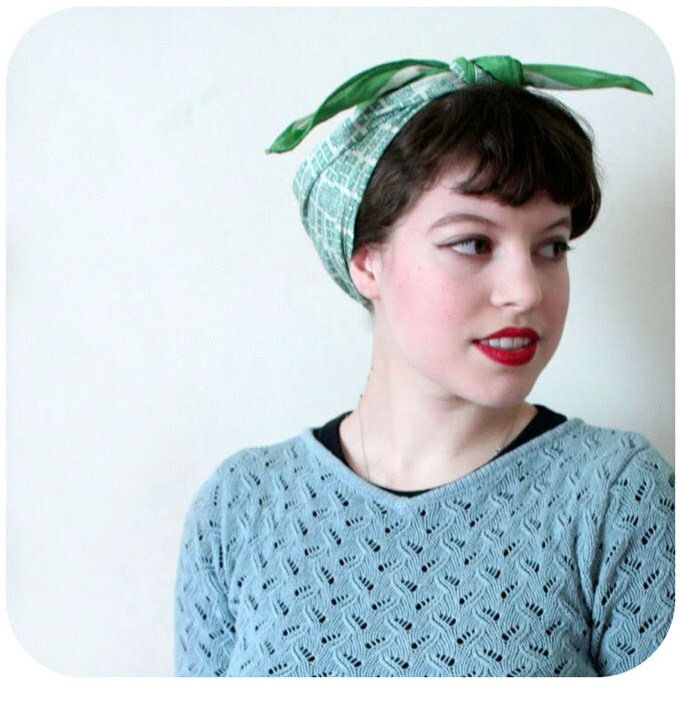 Daisy at the Pixel and Hank blog walks you through her turban headband scarf tutorial in three easy peasy steps. Talk about gorgeous hair! 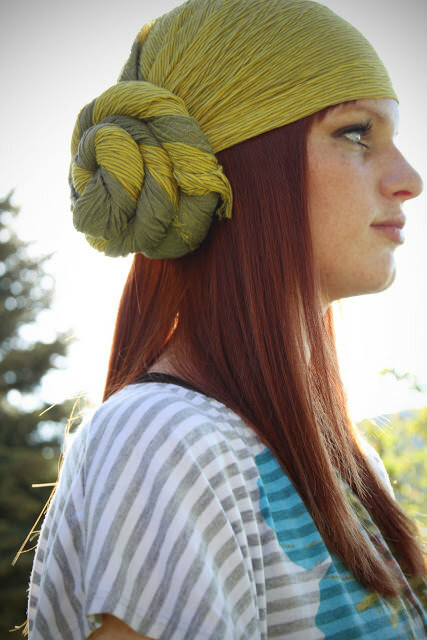 I am in love with this “cinnamon bun” fashioned out of a scarf by Janae at TheLetter4. The two-toned scarf Janae used for this is perfect. Notice the cool effect it has once twisted and secured. Check out her teeny tiny, 2-minute video tutorial on the blog — you’ll be amazed by how simple it is to re-create. By the way, this style is perfect if you need to cover up unruly hair or a sweaty scalp post-workout. For those days when you need hair up and out of your face, I introduce you to the “Fun Bun.” It’s like your standard bun, but funner. Inside Stitch breaks the style down for you in four steps. Essentially, you gather hair into a high pony tail and then twist hair and wrap into a bun. 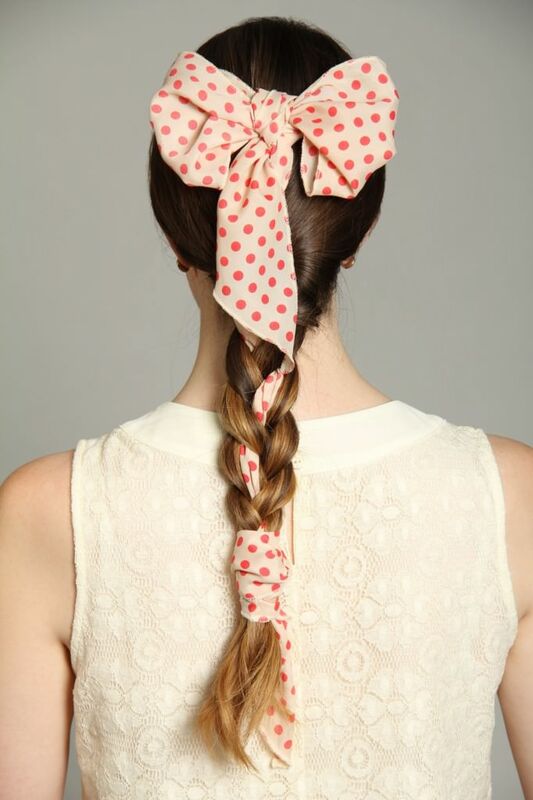 Next, wrap your scarf around the interior base of the bun and tie into a cute bow. Voila! Fun bun. You can try this with pretty much any style of bun. For example, this version, by Love Maegan, is picture-perfect. She leaves the ends untied, which I love. This super simple, four-strand scarf braid utilizes a scarf as the fourth strand instead of your natural hair. YouTube user BornToBeLikeMiley says this style works for both medium and long hair, but you can always clip in some temporary extensions for additional length and thickness. If you’re a bit intimidated by the concept of four strands versus the standard three, try this style out with a basic braid, using two strand of hair and your scarf as the third. 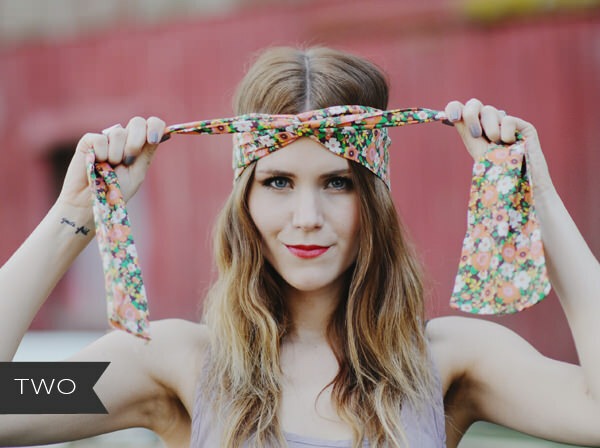 Vintage Inspired Clothing brings you another version of the above braided scarf hairstyle. This one reads a little more cutesy-fem, making it especially ideal for a spring fling. I can see it now: you in a pretty spring dress, the perfect pair of shoes and hair that everyone will want to showcase on their Instragram feed. Start by tying a thin scarf into a bow and securing at the crown. Then, braid hair (with the scarf in one strand) and secure. Wrap the remaining scarf around the end for a polished look. 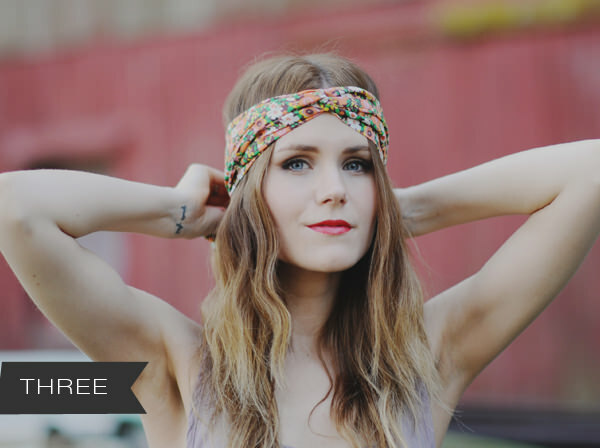 I mentioned Rosie the Riveter above, so I naturally had to include a hair wrap inspired by the fearless factory worker in this roundup. This particular tutorial comes to you from pretty Solanah of Vixen Vintage, who very much lives up to her blog name. You’ll need a large, square scarf for this style. The look is perfect for days you need to work in the garden or take the broom and mop to your abode. In other words, it keeps hair out of your face and you looking fab. Love these scarf-inspired looks? Then you’ll love this summer-perfect boho chic updo too!